The Basketball Super Star resin has an antique gold finish. The trophy includes a brushed gold plate with up to 3 lines of black engraved letters. 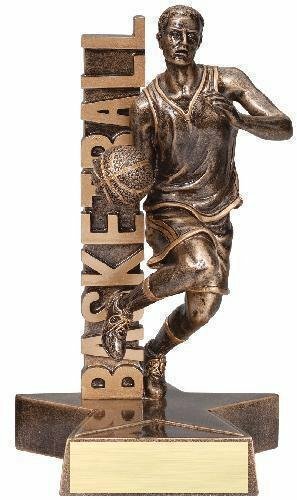 The Basketball resin trophy includes a brushed gold plate with up to 4 lines of black engraved letters. 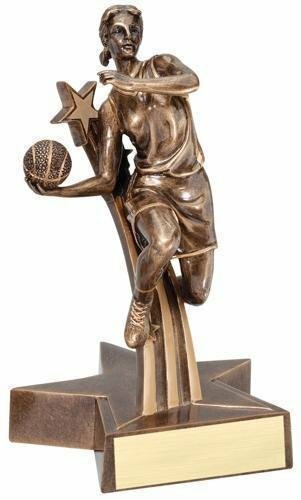 This Billboard Basketball Trophy (Female) is mounted on a star base. The basketball award comes with a brushed gold laser engraved plate. 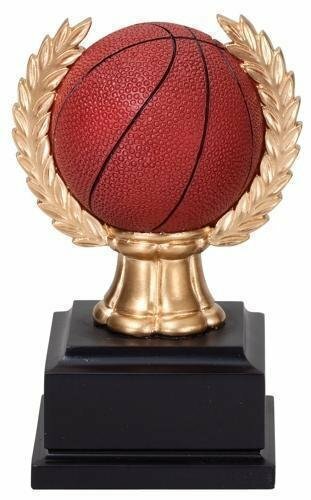 This Billboard Basketball Trophy (Male) is mounted on a star base. 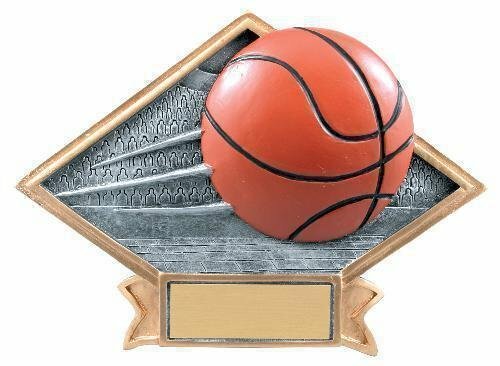 The basketball award comes with a brushed gold laser engraved plate. 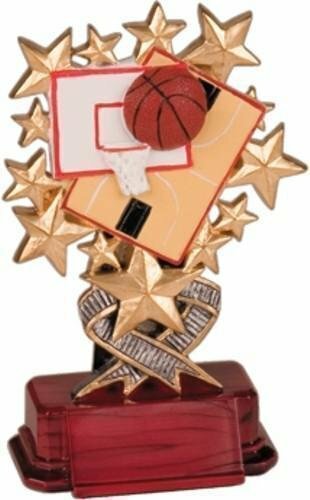 This Stars Basketball Trophy has a very upbeat design. 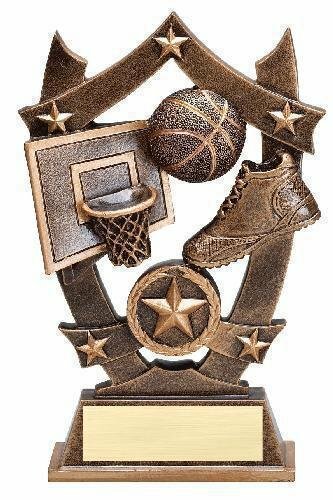 The basketball award comes with a brushed gold laser engraved plate. 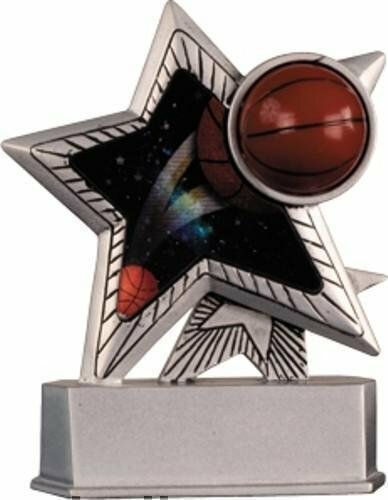 Silver Star Motion trophy series made of durable resin material with silver resin base. Special printing process provides for stunning "motion graphics". Rubber Feet on bottom of trophy to protect display surfaces. 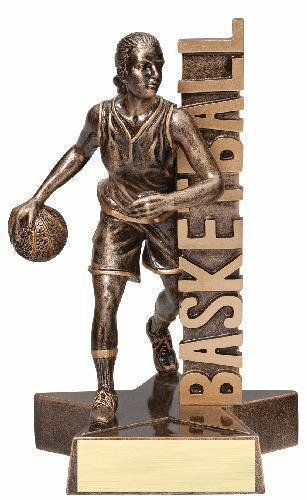 Each resin trophy comes individually boxed with personalized engraving plate that is 7/8" x 2 11/16"
Basketball Encore Resin is available in multiple sizes. 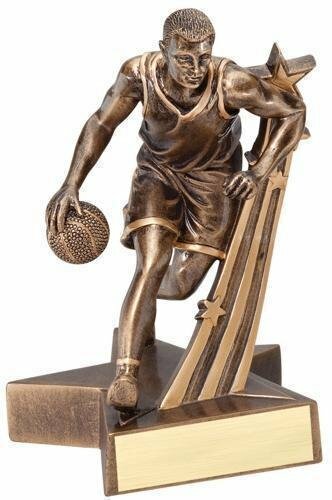 This resin trophy award is simply a fun award that kids love with a Basketball head on a players body adorned with stars.